Register with us today for more information on Halo Residences by Cresford Development Corporation! Halo Residences is a new condo development by Cresford Development Corporation currently in pre construction. The Condominium located at 480-484 Yonge Street, Toronto. 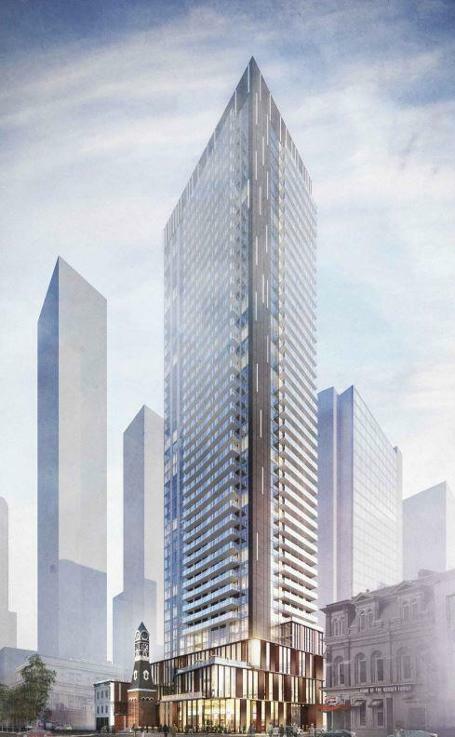 Halo Residences will be 45 storeys tower with a total of 397 very diversified condo units. There are going to be 27 bachelor units and 423 units with one bedroom. Also there are going to be bigger units of two and three bedrooms. The Project will be starting from the high $200,000's. The sales start on September 2016. The Halo Residences is well located at Yonge at College and have a 1 minute walk to the College Subway Station, a few minutes away from the Bay Street Corridor neighbourhood. There are several beautiful parks nearby, including the College Park, the Alexander Street Parkette and the Joseph Sheard Parkette. A Halo Residences tower located at the historic intersection of Yonge Street in downtown Toronto. 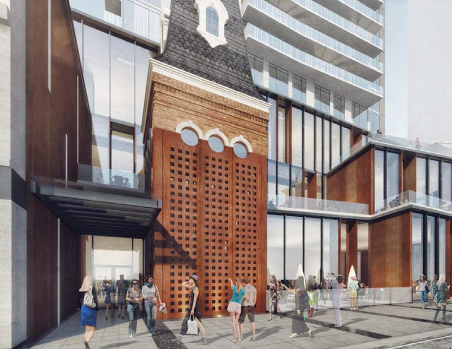 Development involves restoring a heritage firehouse clock tower built in 1872 and making the podium that will be part of this new condo building. The plan also involves the demolition of several stores to make way for a considerably big public plaza as well as the entrance of the new tower. 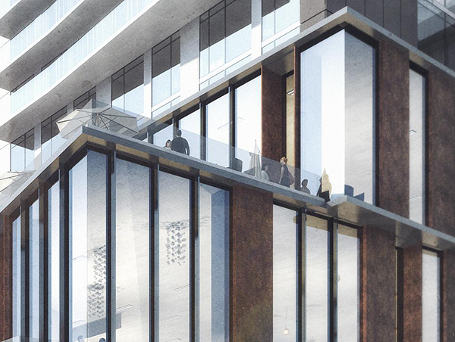 Halo Residences On Yonge has a walk score of 99 out of 100. Transit score 83 out of 100. 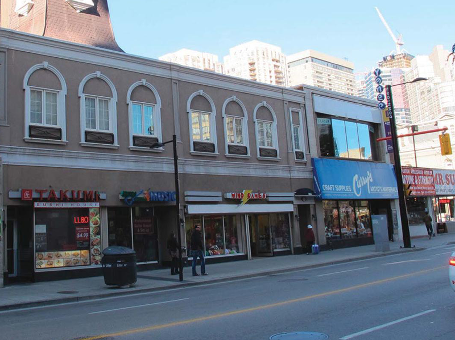 This location is in the Church-Yonge Corridor Neighborhood in Toronto. Nearby parks include Alexander Street Parkette, Joseph Sheard Parkette and College Park. Many high-rise developments are also launching in the same area, with great area amenities location is the key to living a better life and investing as well. For more information, please register today for Halo Residences.